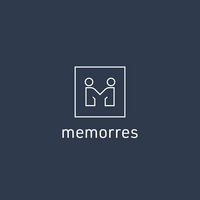 Memorres Client Reviews, Rating and Analysis Report. We are really pleased how Memorres did their job. They do what they promised to do and fix pointed problems quickly. Our project has been quite demanding because we transfered the project to Memorres from another company and that is why their work has been mainly fixing other peoples mistakes... Eventhough now we have apps and backend which work as promised! Memorres has done amazing job with developing our platform. I am fully aware that it is difficult to build a solution with loose specifications (as start-ups often are), but they have mastered it, and put together a scalable solution with proper achitecture. I highly recommend them when you're looking for a custom solution with integrations to multiple 3rd party solutions. Above technical skills, they have surprised us with design capabilities. HIGHLY RECOMMENDED. They are wonderful to work with. They go out of their way to make sure the customer experience is pleasurable. I would recommend them to all my network. Ashton L.
Memorres created a beautiful and cutting-edge website for our company. They were efficient, diligent, professional, and a joy to work with. We recommend them very highly.